Thanks to a change in Maryland law that went into effect last month, the Law Library has experienced a notable increase in the number of people requesting assistance with marital settlement agreements. The change in Maryland Law provides for an absolute divorce on the grounds of mutual consent if certain conditions are met. One of these conditions is the submission of a written settlement agreement that resolves all of the issues relating to alimony and the distribution of property. What is a marital settlement agreement? A marital settlement agreement, also commonly referred to as a separation agreement or a property settlement agreement, is a written document that is a binding contract between a married couple in preparation for divorce, that they enter into voluntarily in order to address the division of their property, alimony and other relevant topics. For background information, including negotiating and enforcing a marital settlement agreement, check out this article on the People’s Law Library. Do you need to find a sample agreement? The Law Library can assist with you with locating samples that you can use as a starting point for drafting your marital settlement agreement. Please note, however, that the library cannot advise you as to what you should or should not include in your settlement agreement. Do you need help with your marital settlement agreement? 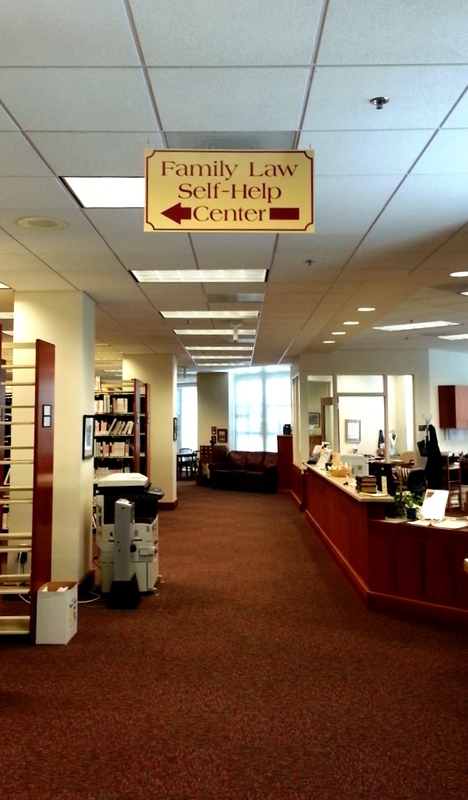 The Maryland Courts Self-Help Center (Phone: 410-260-1392) and the Family Law Self-Help Center (Phone: 410-280-5374) may be able to help. Please remember that the self-help centers can only provide limited legal assistance, so they may not be able to review your agreement in its entirety. For more information, please contact the Law Library! New Maryland Laws Took Effect on October 1, 2015 – Can’t Find What You’re Looking For? New Maryland laws took effect yesterday, October 1, 2015! We published a series of posts highlighting a few of the newly enacted laws, but this is just a small sampling of the new laws enacted by the 2015 Legislative Session. A full listing of new laws is available here, courtesy of the Department of Legislative Services (DLS) of the General Assembly of Maryland. Was there a major issue from the 2015 session that was not covered in this series? The 90 Day Report – A Review of the 2015 Session, published by DLS, includes a hyperlinked list of Major Issues from 2015 such as the budget, education, public safety (body-worn cameras), taxes and voting rights. In addition, we previously covered some changes to family law here, which are effective today. Can’t find what you’re looking for? DLS publishes a Popular Terms List as a reference for current legislation that is often referred to by the public and media by certain popular terms. Also, the Department of Legislative Services of the General Assembly of Maryland publishes compilations of executive orders. Do you prefer paper sources? The Law Library’s collection includes a copy of the 2015 Maryland Legislative Review Service, published by LexisNexis, which summarizes the 2015 Acts of the Maryland General Assembly Regular Session and organizes the 2015 Acts by topical headings. 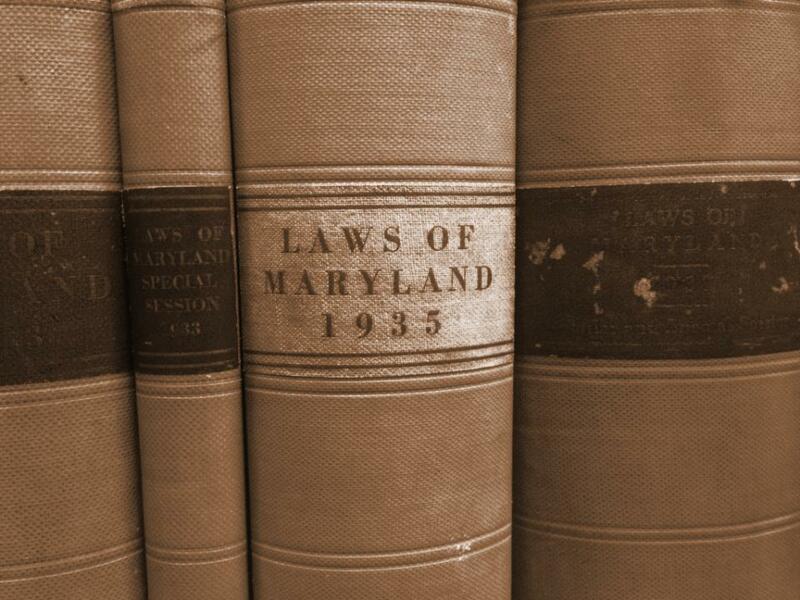 In addition, the Law Library’s Maryland collection includes print copies of the current Annotated Code of Maryland. Senate Bill 204 (Chapter 332)/ House Bill 396 – The date of the presidential primary election is now the fourth Tuesday in April, which would avoid the need to conduct the 2016 early voting on Easter Sunday. In addition, there are changes to various administrative procedures and deadlines as well as the elimination of the requirement for “certain campaign finance entities to file a campaign finance report on the third Tuesday in April in a presidential election year.” You can learn more about this new law, including its legislative history, here. House Bill 284 (Chapter 82) – An election director of the local board of elections must, within 10 business days, “determine whether a summary of local legislation contained in a petition is legally sufficient” prior to circulating the petition for signatures. The intent is to prevent situations where signatures on a petition must be discarded due to a determination, after the collection of signatures, that the summary of local legislation was not legally sufficient. You can learn more about this new law, including its legislative history, here. Senate Bill 5 (Chapter 318) – The canvass of votes cast during early voting must be open to public observation, and “a board of canvassers and the staff of a local board may be observed as they complete each part of the canvass by certain authorized observers and any other individuals who wish to be present.” You can learn more about this new law, including its legislative history, here. Senate Bill 456 (Chapter 351) – A court must “dismiss a criminal charge, in a prosecution for possession of marijuana or for possession of paraphernalia related to marijuana, if the court finds that a person used or possessed marijuana or marijuana paraphernalia because of a medical necessity.” You can learn more about this new law, including its legislative history, here. Don’t forget, bills that are passed by the Maryland General Assembly do not always become Maryland Law. For example, Senate Bill 517, which calls for, among other things, the repeal of “the criminal prohibition on possession of marijuana-related paraphernalia and eliminates any penalty”, was vetoed by the Governor on policy grounds. Since this veto occurred after the Maryland Legislature adjourned, an override vote will not occur until the next legislative session commences. 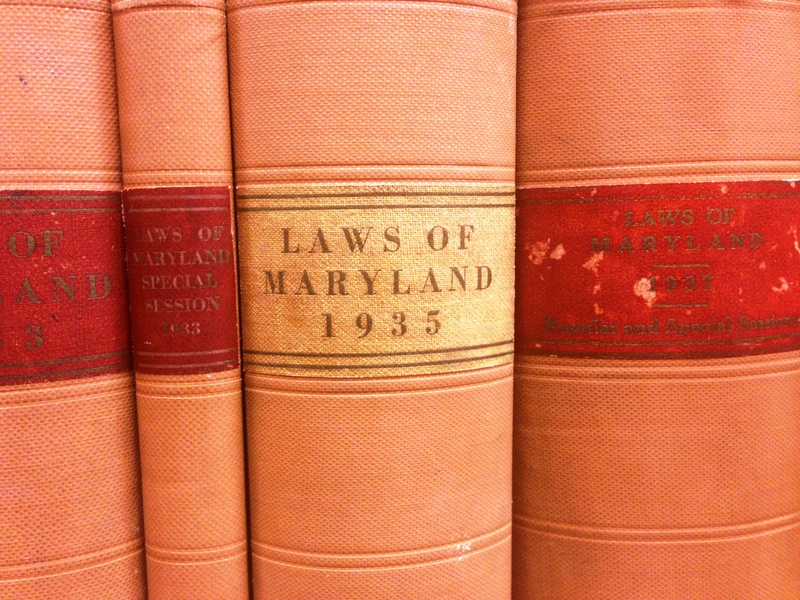 To learn more about the Maryland legislative process, check out this blog post on statutes. In addition, the 2014 Legislative Session made changes to Maryland laws related to marijuana. Check out our 2014 post to learn more! Maryland Second Chance Act of 2015 – House Bill 244 (Chapter 0313) – This new law authorizes “a person to petition the court to shield court records and police records relating to shieldable convictions no earlier than 3 years after the person satisfies the sentence or sentences imposed for all convictions for which shielding is requested”, however, “if a person is convicted of a new crime during a specified time period, the original conviction or convictions are not eligible for shielding unless the new conviction becomes eligible for shielding.” You can learn more about this new law, including its legislative history, here. What’s the difference between shielding and expungement? When a record has been expunged, it has been totally deleted from the court system and other places where the record is held, such as the Police Department, Archives, and State’s Attorney’s office. However, when a record is shielded, it means that the public cannot view the record; however, the record still exists. To learn more about public access to court records, check out these Maryland Judiciary Publications. Don’t forget, the Law Library is always available to assist your with your legal research, including locating referrals. Senate Bill 651 (Chapter 0374) /House Bill 124 – Eligibility for expungement has been expanded to include “persons convicted of a crime where the act on which the conviction was based is no longer a crime.” You can learn more about this new law, including its legislative history, here. House Bill 304 (Chapter 0314)- Eligibility for expungement generally does not include a petition based on the entry of probation before judgment, “except a probation before judgment for a crime where the act on which the conviction is based is no longer a crime, and the person is a defendant in a pending criminal proceeding or was convicted of a crime other than a minor traffic violation or a crime where the act on which the conviction is based is no longer a crime within three years after the entry of the probation before judgment.” You can learn more about this new law, including its legislative history, here. House Bill 131 (Chapter 0069) – For criminal charges that were transferred to juvenile court, the petition for expungement must be filed in the court of original jurisdiction where the order for transfer was entered. You can learn more about this new law, including its legislative history, here. To learn more about expungement and expungement resources, check out these articles on the Maryland People’s Law Library, our wiki page and our past blog post! In addition, the Maryland Courts website includes information on how to expunge your records.